Today, we have R&B singer Bahja Rodriguez (formerly of the OMG Girlz)! Bahja grew up on the Eastside of Georgia, supported by loving parents and others around her. “When I think about my childhood, nothing was impossible,” the singer said. “No one ever said to me, ‘You can’t do that.’” With that great mentality, Bahja started dabbling in singing at the young age of 5. She did a recording then of New Edition’s smash hit “Mr. Telephone Man,” along with Zonnique Pullins (daughter of singer Tameka “Tiny” Harris and former member of OMG as well). Though she started professionally at 12, she knew that day, at only five, that she wanted to sing forever! The singer is best known for her time in her former group, the OMG Girlz, which Tiny started in 2009. Being a part of the group was an amazing experience for Bahja, allowing her and her group members to grow in her skills and experience in the music business under Tiny’s mentorship. After a few member changes and some great music from the group over the years, the group officially disbanded in 2015. “I think it was just time. We were getting older and I think creatively we felt it was time for that,” Bahja admitted. “We started when we were 12 and as we were coming up on 18 and 19, we just knew it was time to be adults.” The singer also revealed that she’s grown so much during her time in the group to now. Her time in the group prepared for the music biz and performing in front of crowds, allowing her to soar as a solo artist. That being said, it made perfect sense for her sophomore EP, released in November 2016, to be named Luv! Working with Tommy Stoner, Deafh, and 730 Chez on the project, Bahja wanted to focus on songs about love throughout the EP. “I really just wanted to put out all love songs that showcased different forms of love…happy love, stupid love, patient love,” the singer revealed. “All of those are important to me and I wanted to talk about it.” One of Bahja’s favorites on Luv is “Ride,” which details feelings on a friend’s relationship, which the singer feels was relayed perfectly on the track. Currently, the singer is working on a full album, as well as new music videos! Something that she believes separates her from the pack is the fact that she’s not afraid to be vulnerable. “I really allow people to come into my world, and see me for me,” Bahja said. In the future, she hopes to establish herself as a mogul and be able to have a positive impact on other artists. “At the end of all this, I want to help artists of all different backgrounds to express themselves freely and really find out who they are,” the singer said. 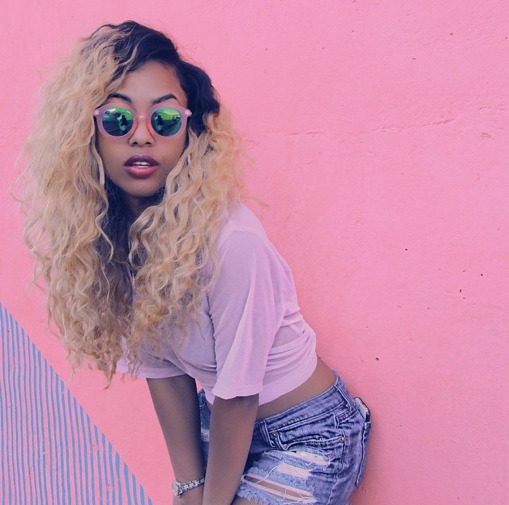 With her talent and experience, Bahja definitely is a star to be on the lookout for! Check out more from Bahja on her socials below!